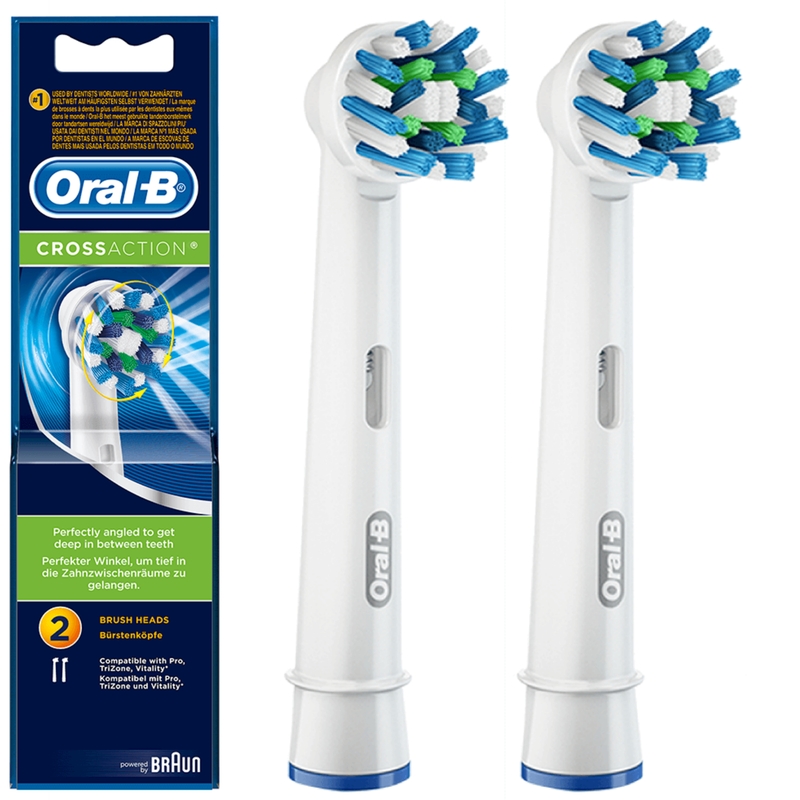 As one of Oral-B's premium replacement toothbrush heads, the CrossAction features precise angles that target plaque to remove up to 100% more plaque vs. a regular manual toothbrush. 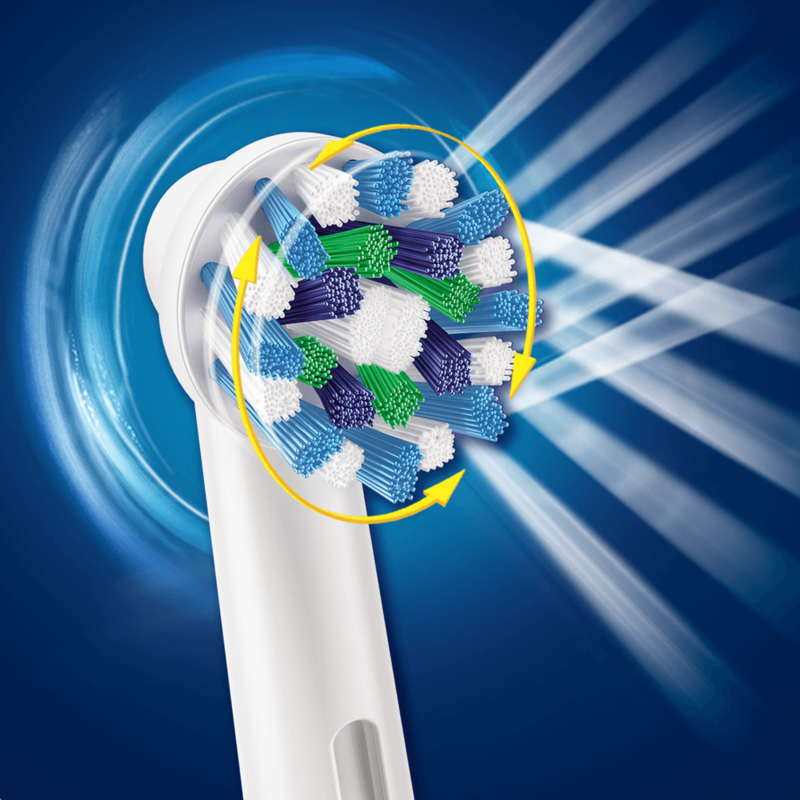 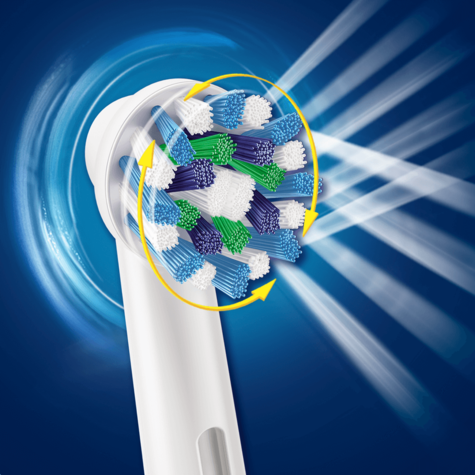 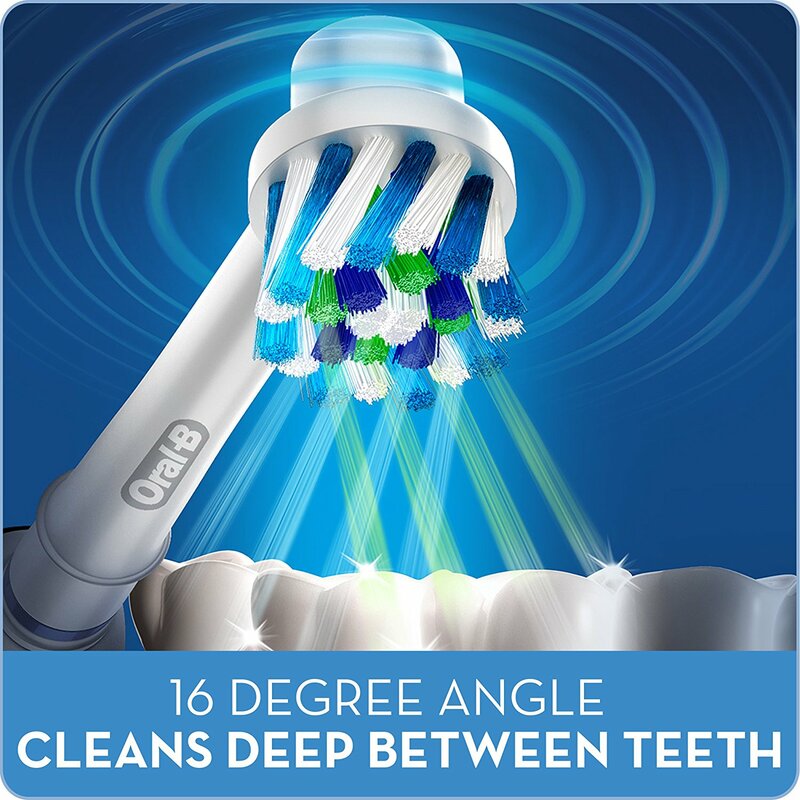 The shape of Oral-B CrossAction toothbrush head features specifically engineered bristles that are designed for optimal tooth coverage. The unique bristles reach deep between teeth to remove plaque and leave your whole mouth cleaner than a regular manual toothbrush. Compatible with Oral-B Genius 8000, 9000. 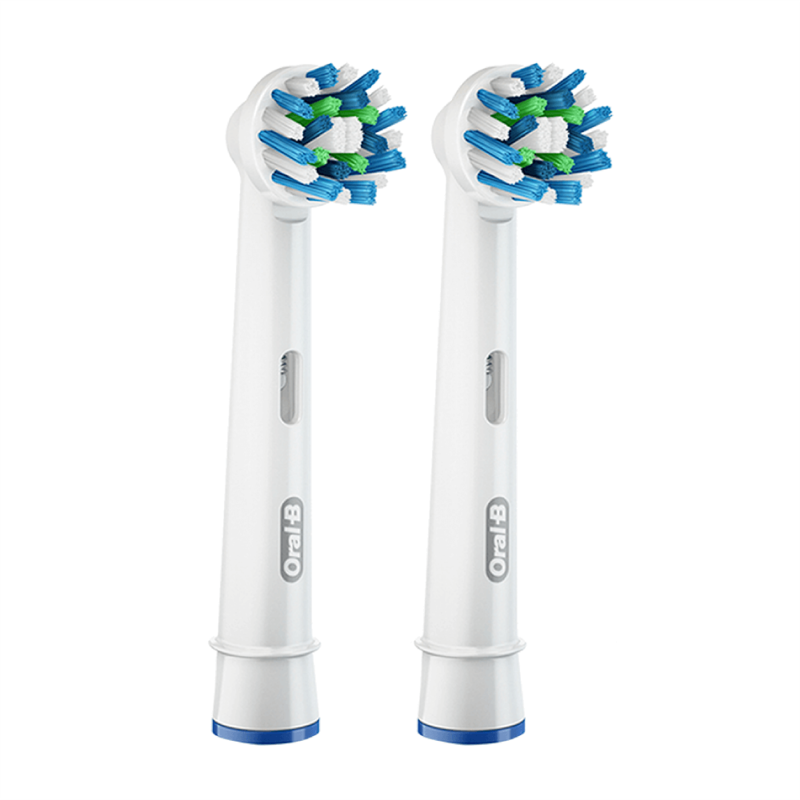 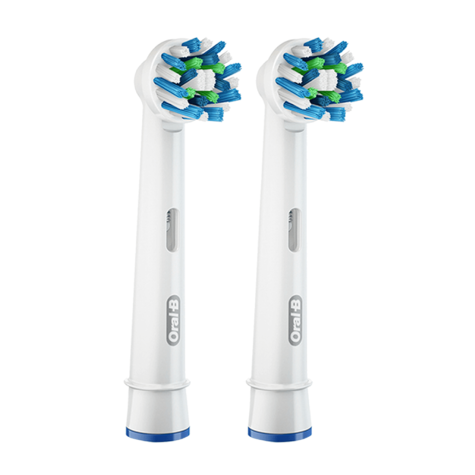 Compatible with Oral-B PRO 600, 650, 1000, 2000, 2500, 3000, 4000, 4900, 5000, 6000, 6500, 7000. 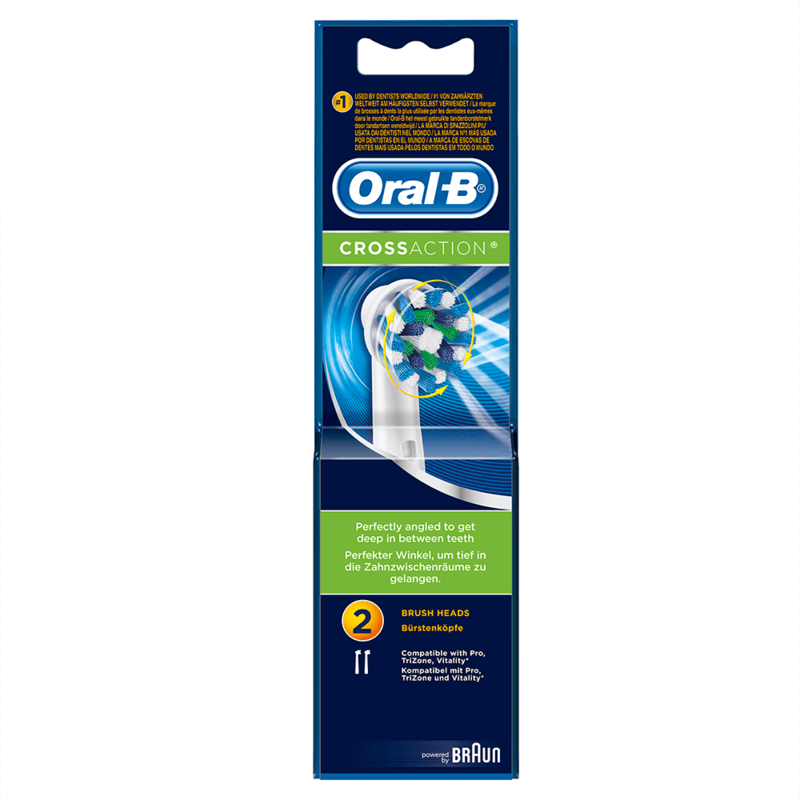 Compatible with all Oral-B Vitality and Vitality Plus Variants. 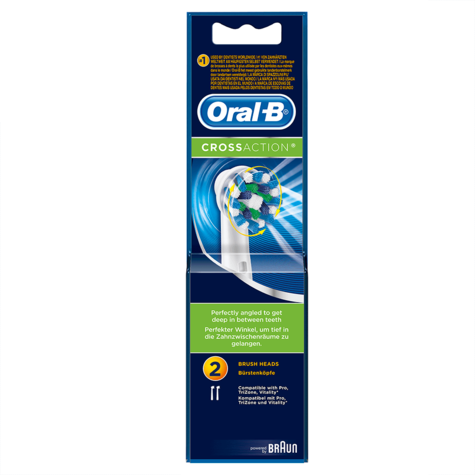 Compatible with all Oral-B Vitality and Vitality PlusVariants.